Being single, unattached, and away from family has its downside. On certainly holidays when one sees families and friends gather to celebrate, the possibility of spending it with Me, Myself, and I will inevitably cross one's mind. I'm past the age where counting down on NYE is still a big thing, so I normally don't make a fuss about how to spend it. In fact, there have been a couple of years in the recent past where I did spend it with Me, Myself, and I. About an hour and a half before the party was due to start, I received word that one of us had arrived "a little early" to beat the crowd that was inevitably going to swarm to Lan Kwai Fong. Not wanting the poor soul to hang out alone, I decided to head to the bar a little early - only to find myself alone for the next half hour while the bar staff continued to prep for the party. Ah well... at least it smelled good while I waited! 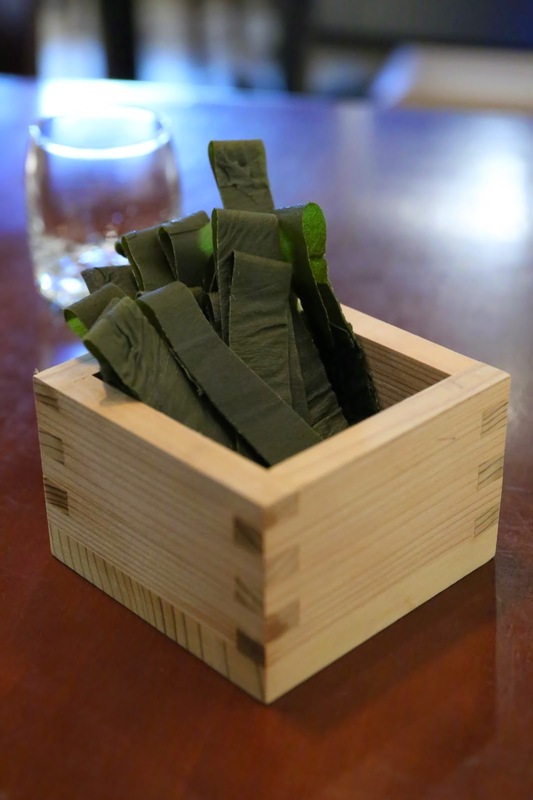 These strips of dried kelp (昆布) were pretty nice as a snack. There's just enough umami without being too salty. We were also given the usual bowl of edamame (枝豆) to snack on before the spread was laid out at the bar. Chikuzen-ni (筑前煮) - the other big pot that kept being refilled throughout the evening. Filled with lotus roots, yam, konnyaku, burdock (牛蒡), shiitake mushrooms...etc. - each with its own significance and symbolism. Kamaboko (蒲鉾) - you can't have osechi without these red-and-white fish cakes. Matsukaze yaki (松風焼) - a pâté based on chicken. Kohaku-namasu (紅白なます) - more red-and-white symbolism for new year... with marinated shredded carrots and radish. Lotus root pizza - this was really awesome! Shredded lotus root made into a crunchy "pie", with lots of bonito flakes on top. Fried fishcake (薩摩揚げ) - very yum. There was free-flowing sake tonight, but I was pretty restrained... which meant that I actually didn't get drunk. 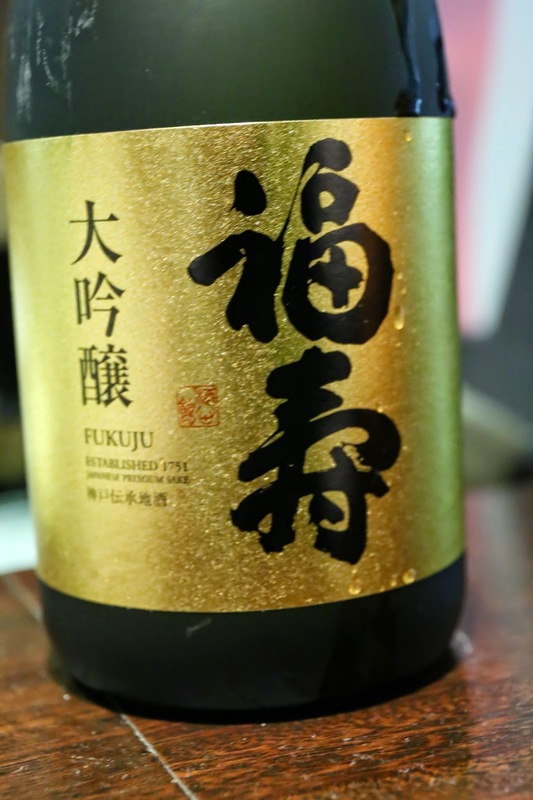 Fukuju Daiginjo (福寿 大吟醸) - very smooth and sweet on the palate, with banana on the nose. Became dry and spicy (辛口) when it warmed up. Seimaibuai (精米歩合) of 50%. 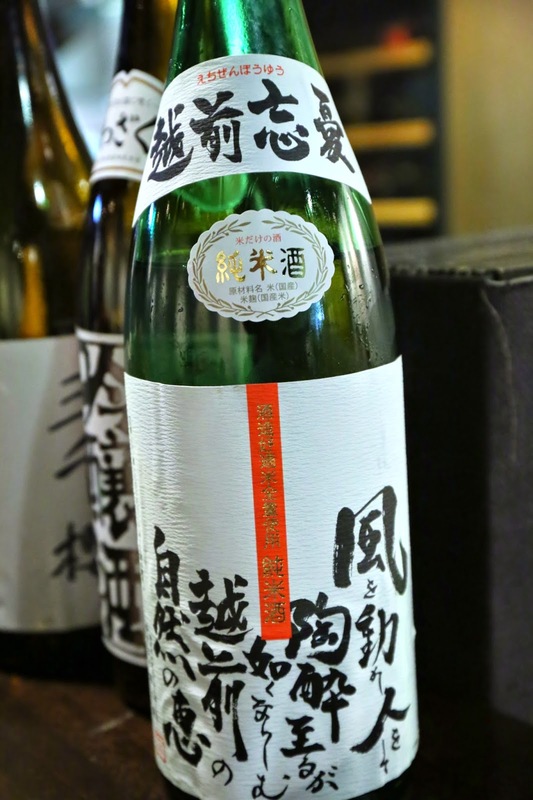 Hakuko Tokubetsu Junmaishu 60 Hattan Yamadanishiki (白鴻 特別純米酒60 “八反・山田錦”) - sweet on the attack and mid-palate, but definitely dry and lean finish. Seimaibuai (精米歩合) of 60%. 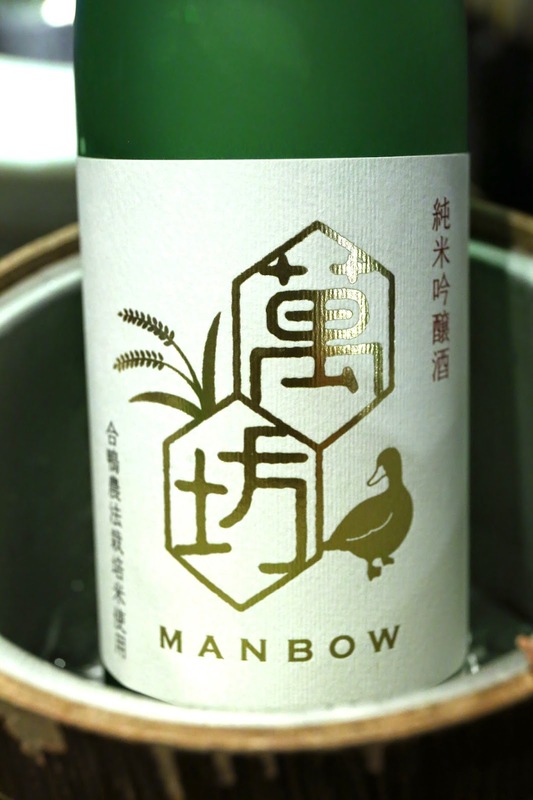 Manbow Junmaiginjo (萬坊 純米吟醸) - slightly sweet, muted nose and not much other than alcohol. 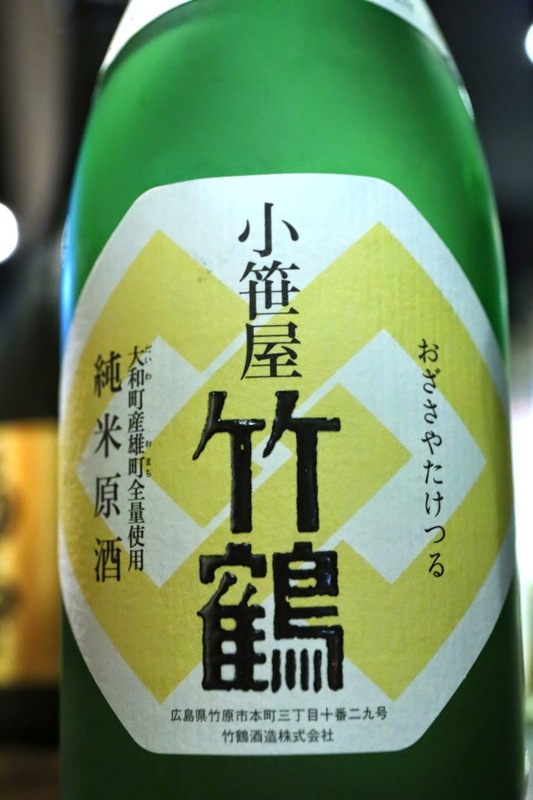 Ozasaya Taketsuru Junmaigenshu Daiwa Omachi (小笹屋竹鶴 純米原酒 大和雄町) - 24BY. Served warm, so very dry on the palate. Seimaibuai (精米歩合) of 65%. 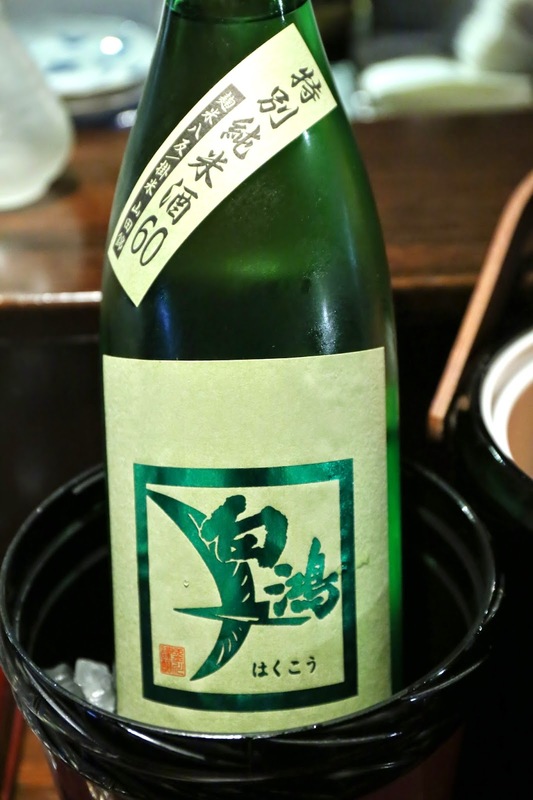 Koshinokanbai Ginjo Tokusen (越乃寒梅 吟醸 特撰) - medium sweet and lean, kinda dry on the palate. Seimaibuai (精米歩合) of 50%. 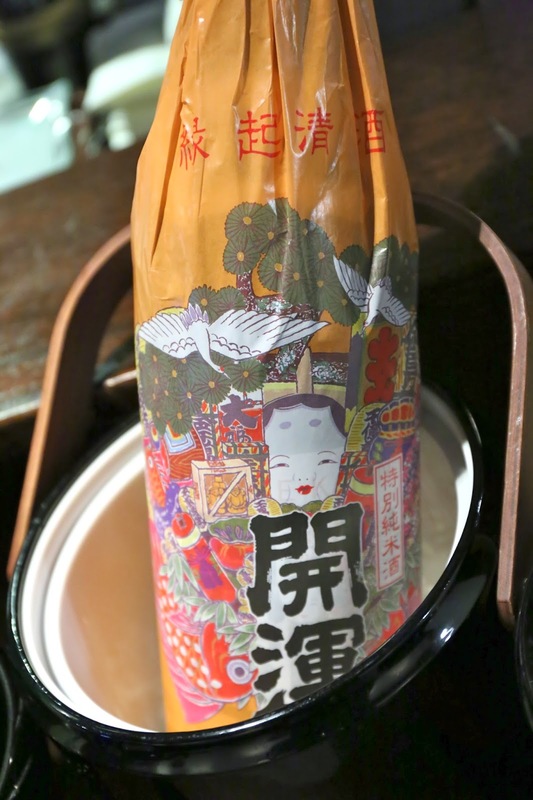 Echizenboyu Junmaishu (越前忘憂 純米酒) - pretty smooth. Seimaibuai (精米歩合) of 60%. 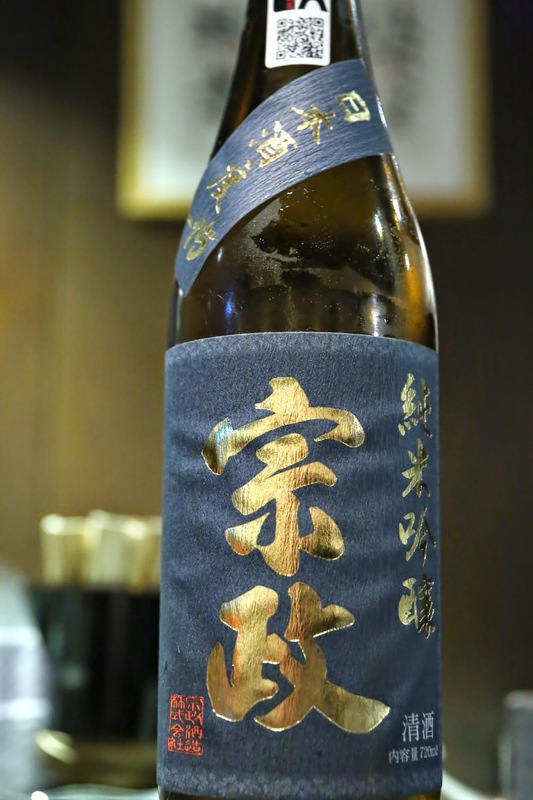 Kaiun Tokubetsu Junmaishu (開運 特別純米酒) - a little spicy on the finish. Seimaibuai (精米歩合) of 55%. 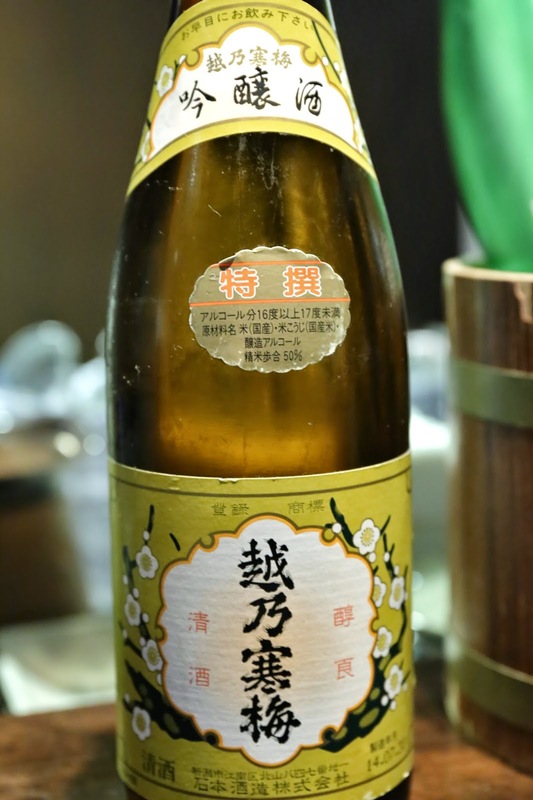 Munemasa Junmaiginjo (宗政 純米吟醸) - I didn't believe this kinda stuff existed... since a nihonshudo (日本酒度) of -15 means the sake is very sweet, and these days most "serious" sake are more on the dry side. It was pretty sweet alright, with a slightly bitter finish. Pretty smooth on the palate. This was a pretty cool way to spend New Year's Eve, with good food and trying out different sake. Let's see what 2015 brings! Reptile night part 2: was the master beaten?